This article is republished with permission of the Free State Foundation. The context is important. So please note that I said that many regulations serve important purposes, especially those related closely to protecting public health and safety. But it is also true that leaving in place unnecessary or unduly burdensome regulations has negative economic effects for consumers and for Maryland’s overall economy. In my July 13 piece, I suggested that Governor Hogan’s new commission might benefit from inclusion of individuals with academic or public policy expertise regarding regulatory policy or regulatory economics. Aside from additional expertise, this might give the panel additional credibility in the face of critiques that it is composed only of business representatives. And I asked whether there should be some central entity within the executive branch to review regulations before they are promulgated to determine that the projected benefits outweigh the costs and they are not inconsistent with other regulations. Here is a brief sketch of the current process as I understand it. Proposed State agency regulations are reviewed by the Joint Committee on Administrative, Executive and Legislative Review (AELR) “with regard to the legislative prerogative and procedural due process.” The AELR Committee comprises 20 members of the General Assembly, 10 appointed by the Senate President and 10 by the House Speaker. Moreover, periodic review and evaluation of existing regulations are monitored by the committee. A Maryland statute (§§10-130-10-139, Annotated Code of Maryland) requires that each State agency that has adopted regulations review them every eight years. (There are some exceptions.) According to the criteria specified in the statute, the purpose of the review is to determine (1) whether the regulations are necessary for the public interest; (2) continue to be supported by statutory authority and judicial opinion; (3) or are appropriate for amendment or repeal. Neither the process for considering proposed regulations or for those already adopted is as rigorous as it ought to be in taking into account regulatory costs and benefits. The criteria applied by the AELR Committee at the adoption phase do not come close to amounting to any sort of weighing of costs and benefits or effectiveness test. And the criteria specified by law for the periodic regulatory review do not meet this test either. While a purpose of the review is to determine whether the regulations “are necessary for the public interest,” this standard is too vague to require even a standard weighing of costs and benefits. The Executive Order does require a determination as to “whether regulations under review are effective in accomplishing their intended purposes.” This requirement gets closer to dictating the performance of a more rigorous analysis than that required by a generalized “public interest” determination. But including some reference to requiring a cost-benefit analysis would strengthen the review. For example, the Executive Order could be revised to provide that an agency “should consider whether regulations under review are effective in accomplishing their intended purposes, taking into account the costs and benefits of such regulation.” And, for regulations that are not intended to protect public health and safety, but rather fall in the category of economic regulation, there should be a requirement to assess marketplace competition to determine whether there is an existing market failure. Not all regulations are equally significant, of course, in their projected impacts on the economy. There should be a process for identifying those major regulations that are projected to have the most significant economic impact on Maryland’s economy, say, over $5 million per year, so they can be subjected to more rigorous scrutiny at the outset than those that will have a less significant impact. The eight-year review cycle is a bit long for periodic review of all regulations, given the pace of technological change and dynamism in many segments of today’s economy. Of course, this is not true of all segments, but there is little doubt that the pace of change is quickening, especially in areas such as telecommunications, high-tech, health care, and energy. It is more common to consider periodic regulatory review cycles in the 4-5 year range. If the review cycle is not shortened across the board, perhaps it should be shortened for agencies with regulations in subject areas known to be susceptible to rapid change or those regulations identified as economically significant. I am sure there are other ideas worthy of consideration as well, and I hope to explore some of them in the future. For now, my purpose is to stimulate further discussion and thinking. As I said, Gov. 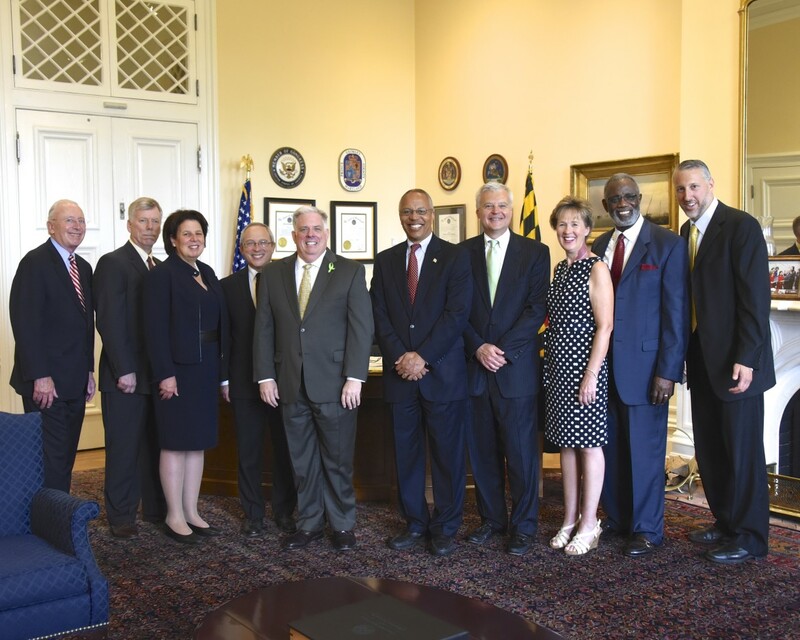 Hogan’s formation of the Regulatory Reform Commission is commendable. Unnecessary or overly burdensome regulations adopted or left in place impose a cost on all of Maryland’s citizens. So, it is worthwhile for Gov. Hogan, his new commission, and the General Assembly to keep focusing on ways to improve the regulatory process. More than two dozen witnesses testified before a joint legislative committee Tuesday on proposed regulation for upgraded septic systems across the state, most of them opposing the rule change. State Department of the Environment officials who wrote the regulations –– the only proponents aside from environmentalists –– told the Administrative, Executive and Legislative Review joint committee that applying best available septic technology statewide is the way to reduce nutrient sediment load in the Chesapeake Bay.